BARS Consultants is a complete liquor licensing, training and compliance service providing the liquor and hospitality industry with expert knowledge, advice, advocacy, training and application services. 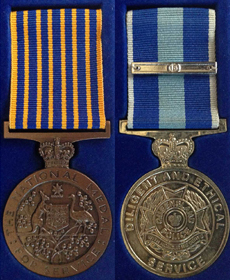 BARS Consultants is lead by its Director, Garry Oliver, who served over 24 years in operational policing with the Queensland Police Service reaching the rank of Senior Sergeant in charge of police operations at Fortitude Valley, now having over 34 years policing and liquor licensing experience. For the last 9 years of his police service, Garry coordinated up to 7 agencies specialising in the development and maintenance of harm reduction. 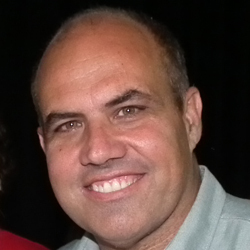 Garry was the original founder of the Liquor Enforcement and Proactive Strategies (LEAPS) process that forms a part of the Brisbane City 17 Point Safety Action Plan, now implemented throughout Queensland, lecturing on these strategies to health and enforcement agencies throughout Australia, New Zealand and the United Kingdom. Garry is currently a licensed crowd controller, body guard, security guard, security advisor, private investigator and approved manager under the Liquor Act 1992. He owns and operators BARS Training Australia (Provider 32061), BARS Protection Services (Queensland License 4037226) and Bouncer Buddy Products supplying products and stationery supplies throughout Australia. Garry is highly recognised within industry and Government circles for his unique skill set with both the liquor and security industries, sitting on a number of Government and Non-Government committees as the National President for the Security Providers Association of Australia (SPAAL). BARS Consultants provide expert advice and assistance in negotiating the liquor licensing process, leaving prospective licensees to focus on other key operational tasks whilst this often lengthy process is undertaken. We specialise in major event planning, managing events like the Full Moon Event in north Queensland on a monthly basis since November 2007. This type of planning has become subject to increased compliance monitoring and enforcement action in recent years as well as risk mitigation for licensed premises generally. BARS Consultants is one of a very few companies in Australia that can offer the entire package. We can apply for your license or permit through BARS Consultants, we can train all your hospitality and security staff to a National competency through BARS Training Australia, provide all the security services for your premises or community event through BARS Protection Services, as well as provide all the required products and stationery supplies through Bouncer Buddy Products. So, please don’t hesitate to contact BARS Consultants for a quote and to organise our expert advice and assistance in ensuring your event or your licensed premises is as safe, compliant and risk free as possible.